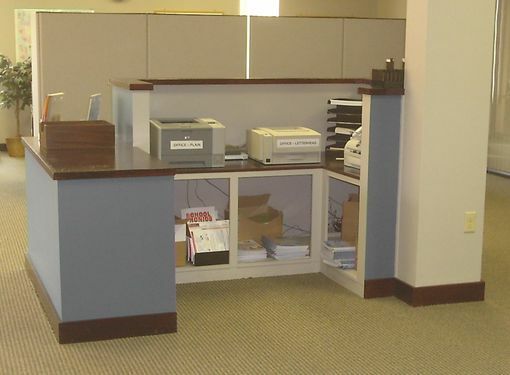 This reception/printer station was designed and built for a busy office. 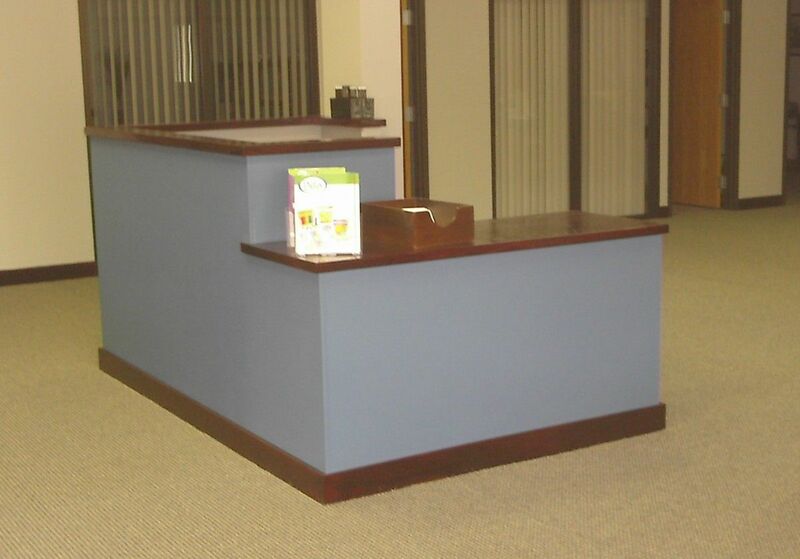 It incorporates several printers and fax machines while providing storage of promotional materials. 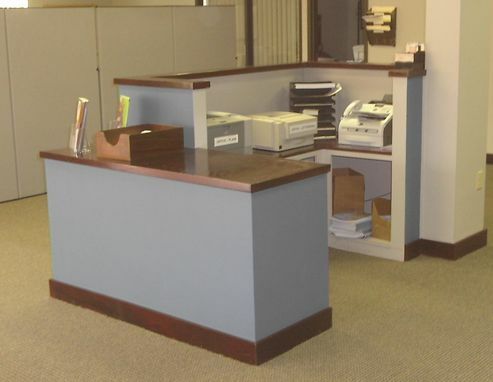 Split into two levels the unit also fits nicely into the entry/traffic area of the office.